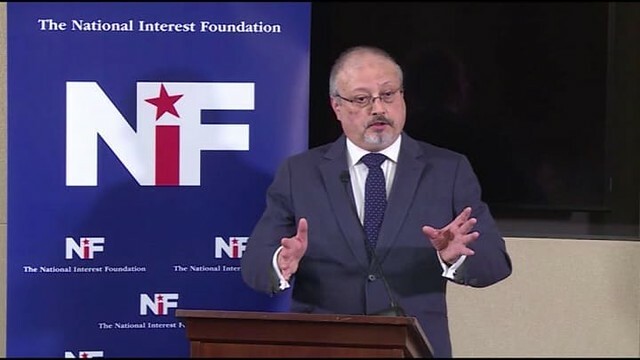 Home Latest News Torture Cases Was Jamal Khashoggi killed inside the Saudi consulate of Istanbul? Was Jamal Khashoggi killed inside the Saudi consulate of Istanbul? 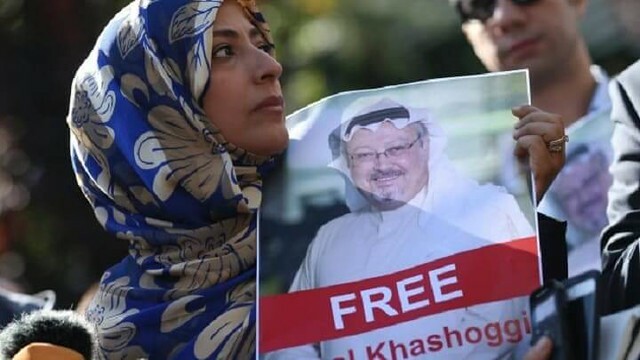 He was reported missing in October 2018: Jamal Khashoggi, whose murder case is still being investigated was a renowned Saudi journalist and a columnist at the Washington Post. The journalist was residing in the US since the last year. It is said that the journalist died between 2nd and 7th of October 2018. There was news that he was killed in the Saudi consulate of Istanbul. However, as soon as the Turkish media reported the Khashoggi was murdered in Saudi consulate, Saudi Arabia’s Consulate General in Istanbul gave out the statement that such news is baseless. The investigation is still underway: The officials added that the news is no more than accusations without a proof. The news that was broadcasted by the Reuters news agency has been claimed a false news by the Saudi officials. Saudi Arabia’s Consulate General in Istanbul also briefed that the Saudi investigators along with a security team have landed in Istanbul on Saturday to look into the matter and resolve it. The officials said that they doubt that the claims of Khashoggi’s death inside the consulate have come from the Istanbul government as they have been assured about the investigation that is still under process. They shall comment on the topic once the investigations are complete. Turkish president hopes that Jamal Khashoggi will be recorded: The official at Saudi Arabia’s Consulate also briefed that the Saudi Authorities have taken up the case with full responsibility and are working on the facts to uncover the truth. The investigation is being carried out in Saudi Arabia as well. Recep Tayyip Erdogan, the Turkish President, gave out a statement that he is waiting for the most optimistic results and has high hopes. He is waiting for the investigation to complete as soon as possible. He is positively looking into the Khashoggi's disappearance case and views that he will be recovered. CCTV Footages are also underscan: He said that he has keen eyes on the case and is following each detail, once the case reaches an outcome, the world shall be informed about it. The president also added that the police is vigilantly looking for clues. They have examined all the CCTV footages for the entrances and exits at the consulate as well as the Istanbul airport. President Erdogan said that Khashoggi was a good journalist and a great friend. If God wills, we shall not face any undesirable news. The Khashoggi family, which is a dominant and prominent clan in Saudi Arabia also gave out an exclusive interview related to the case. Khashoggi’s family fully trusts the Saudi Government: The interview was given by Motasem Khashoggi who is the legal advisor of the family. He has told that he is following the case on regular basis and is in touch with Saudi officials. He has shown trust in the government regarding the case. He also added that a few countries have been trying to exploit the case, give out the false news just to achieve their agenda. Electronic media has also been coming up with self-made baseless news and thereby we shall remain silent upon them. 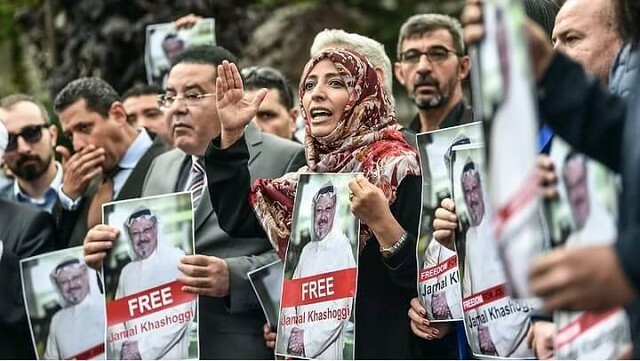 Khashoggi’s family doesn’t recognize Jamal’s fiancé: People don’t realize that some cases are sensitive and that they shall not use it for their own purpose. Political parties, countries and certain groups are using Jamal’s name for their own purposes. We being Saudi residents should not be involved in this international conspiracy. On the issue of Jamal’s fiancé, he said that they do not recognize the lady and neither is she Jamal’s fiancé. If there had been Jamal’s fiancé, they shall have known about her.